Is it legal or illegal to park a motor vehicle on a pavement? It is legal in an emergency. It is legal on particular roads where the local council has agreed to permit it. There will be signs and usually marks on the pavement. It is legal if the vehicle (e.g. a motorbike) is pushed on to the pavement rather than driven on. What is the law that prohibits parking on pavements? It is an offence to drive on to a pavement (the Highway Act 1835 and Road Traffic Act 1988 - see the Highway Code section 145). It is also an offence for a pavement to be obstructed (it is the owner who is fined). 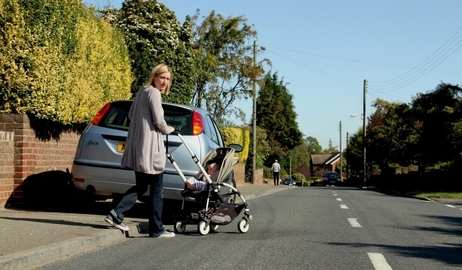 The definition of obstruction is not spelt out, but many vulnerable pedestrians need a pavement width of 2 metres, such as someone walking with a guide dog, or a parent with a double buggy plus children walking alongside. It is the responsibility of the police to enforce the laws prohibiting driving on the pavement and obstruction of the pavement. Local councils also have the option of taking on the enforcement on particular roads (there will be signs) via traffic wardens. The law is currently poorly enforced and this is causing problems for many people. Where might parking on pavements be permitted? In a minority of roads, such as those with terraced housing, there is limited off-road parking. Such roads can be considered for legalised and regulated parking on pavements. The areas where parking on pavements is permitted are indicated by signs and by white lines on the pavements. 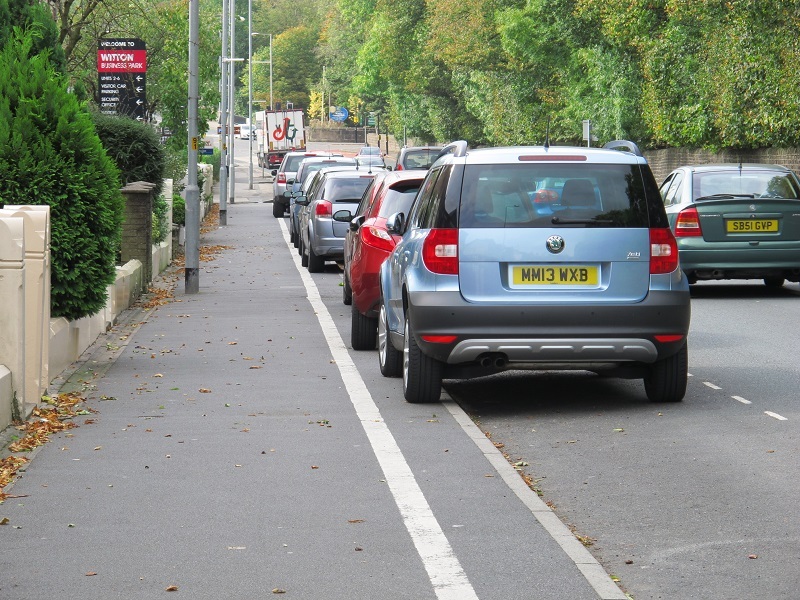 Why does it matter that drivers are parking on pavements? A 4-year-old girl was killed whilst on her way to pre-school on her scooter by a van driven on to a pavement to park in Neston (see here). 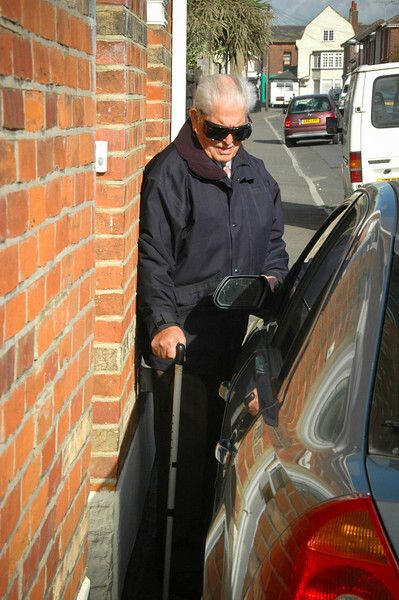 Vulnerable pedestrians such as children, those using a wheelchair or those with visual impairments find cars parked on pavements intimidating, especially if they are forced to walk in the carriageway. Some find it so difficult or upsetting that they no longer venture out from their homes. 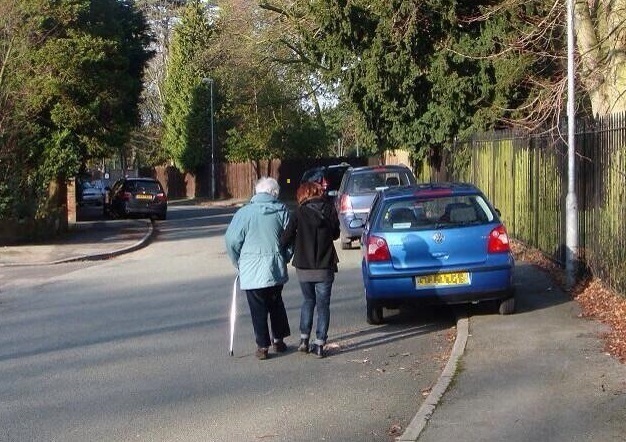 Pavements are not constructed to carry the weight of vehicles, and many pavements are becoming seriously damaged, which is causing falls for elderly people.